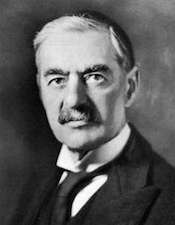 British Prime Minister, Neville Chamberlain, tells the British people that Hitler has ‘missed the bus’, meaning that a German invasion of the west is now unlikely to succeed. Norway and Sweden are both informed of the allied intention to mine Norwegian waters. RAF launch attacks against ships at Wilhelmshaven. Fuhrer Directive 41 rolls off the mimeograph machines in Rastenberg and the Wehrmacht has its marching orders for 1942. Leningrad is to finally be captured, but that’s a secondary objective. The big plan is in the South, which involves 2nd Army and 4th Panzer Army breaking through to Voronezh on the Don. The 6th Army will break out South of Kharkov and combine with the 4th Panzer Army to surround the enemy. After that, the 4th Panzer Army and 6th Army will drive East under the command of Army Group B and surround Stalingrad from the North, while Army Group A’s 17th Army and 1st Panzer Army will do so from the South. Once Stalingrad is taken, the 6th Army will hold the flank defense line while Army Group A drives South into the Caucasus to seize the oilfields and become the northern punch of a grand pincer movement (the southern half being Rommel) to seize Suez, the Nile Delta, the Middle-East and its oilfields. One hundred and eighty Japanese planes from five aircraft carriers attack the Royal Navy’s base at Colombo in Ceylon. These came from Admiral Nagumo’s 1st Air Fleet under Admiral Kondo’s Southern Force which was tasked with destroying the Royal Navy’s Fleet in the Indian Ocean. However, the British received prior warning and sailed the bulk of their fleet to the Maldives, although the armed merchant cruiser Hector and destroyer Tenedos were sunk. Fifty-three Japanese carrier-aircraft did however locate and sink the Royal Navy’s heavy cruisers Dorsetshire and Cornwall, to the south east of Ceylon, in just 22 minutes. The British 8th Army attacks the next blocking position of the retreating Axis forces at Wadi Akarit. The RAF and USAAF conduct the first of 24 round-the-clock raids on the Ploiesti oil refineries in Romania. A Jewish inmate, Siegfried Lederer, escapes from Auschwitz-Birkenau and makes it safely to Czechoslovakia. He then warns the Elders of the Council at Theresienstadt about Auschwitz. During a raid on Kiel by the U.S. 8th Air Force, severe damage is caused to the cruisers Hipper and Emden. A U.S. military government is established on Okinawa. The US 8th Air Force carries out another heavy attack (450 bombers) against Kiel. The 3rd Ukrainian Front reaches the railway North West of Vienna, cutting rail link with Linz. Eighteen U.S. divisions begin the clearance of Ruhr Pocket. The French First Army captures Karlsruhe on the upper Rhine.